Chicago, IL - Archer Daniels Midland Company (NYSE: ADM) today reported financial results for the quarter ended March 31, 2018. “The team executed exceptionally well in the first quarter, and we harvested the benefits of the strategic actions we took over the last few years, delivering strong results,” said ADM Chairman and CEO Juan Luciano. “Looking forward, we are focusing our growth efforts on five key platforms—animal nutrition, bioactives, carbohydrates, human nutrition and taste—as well as geographic regions that are seeing increasing consumer demand. "And, through Readiness, we are enhancing our agility, streamlining and standardizing our processes, and implementing innovative technologies for our business and our customers. Reported and adjusted earnings include negative mark-to-market timing effects in Oilseeds and Origination, largely offset by approximately $120 million of income from the 2017 U.S. biodiesel tax credit. Origination results were in line with the prior year. Negative timing effects that impacted the quarter’s performance are expected to reverse in future quarters as contracted agreements are executed. Merchandising and Handling was up significantly year-over-year. Global Trade had higher margins and increased volumes, resulting in a significant turnaround compared to the year-ago period. North American Grain was down compared to the first quarter of 2017 on lower U.S. export volumes and approximately $40 million of mark-to-market effects on existing contracts due to improvements in forward export margins and barge freight rates; those impacts are expected to reverse in future quarters as contracts are executed. Transportation was down due to high river levels, resulting in increased operating costs. Oilseeds results were up over the first quarter of 2017. Global market dynamics continued to push soybean crush margins higher, and the company set crush volume records in North and South America. Improving crush margins resulted in negative timing effects of more than $100 million on forward hedges, which led to Crushing and Origination results that were lower than the year-ago period; the majority of those impacts are expected to reverse over the course of 2018. South America saw strong origination volumes and improving margins as farmer selling accelerated. Softseeds were down on lower margins. Refining, Packaging, Biodiesel and Other results were substantially higher on approximately $120 million of income due to the passage of the 2017 biodiesel tax credit. Asia was lower on Wilmar results. Carbohydrate Solutions results were in line with the year-ago quarter. Starches and Sweeteners was up over the prior year on increasing contributions from the Chamtor acquisition and solid results from joint ventures in North America, as well as improved results from starches and dry sweeteners. Wheat Milling was up, benefiting from stronger margins. Bioproducts results were down versus the year-ago quarter in a pressured ethanol industry margin environment. Nutrition was up versus the year-ago period. WFSI results were in line with the first quarter of 2017. WILD had another quarter of double-digit profit increases versus the prior-year period, offset by some weakness in Specialty Ingredients. Animal Nutrition was up significantly over the first quarter of 2017 with strong trade sales, and a good product mix with strong margins. Other results decreased due to lower underwriting performance in captive insurance operations and lower results at ADM Investor Services. 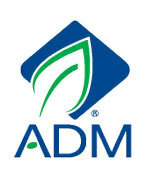 ADM made changes to its segment reporting in the first quarter of 2018 to reflect the company’s new operating structure. To assist in reconciling the new segment results to the prior presentation, the table on page 11 provides financial information under the historical segmentation for the first quarter of 2018. As additional information to help clarify underlying business performance, the table on page 9 includes reported earnings and EPS as well as adjusted earnings and EPS. Segment operating profit of $704 million for the quarter includes charges of $13 million ($0.02 per share) related to asset impairment and restructuring charges. In Corporate results, unallocated corporate costs for the quarter increased due to a $19 million expenditure with an offsetting benefit in income taxes. Other charges for the quarter in Corporate include several individually insignificant restructuring charges totaling $3 million, compared with last year’s restructuring charges of $1 million. The effective tax rate for the quarter was approximately 15 percent, down from approximately 26 percent in the prior year, due mainly to U.S. tax reform, which reduced the federal income tax rate from 35 percent to 21 percent. In addition, there were favorable changes in the forecasted mix of pre-tax earnings; the effects of the biodiesel credit; and certain discrete tax items. Click here to read the full financial report.